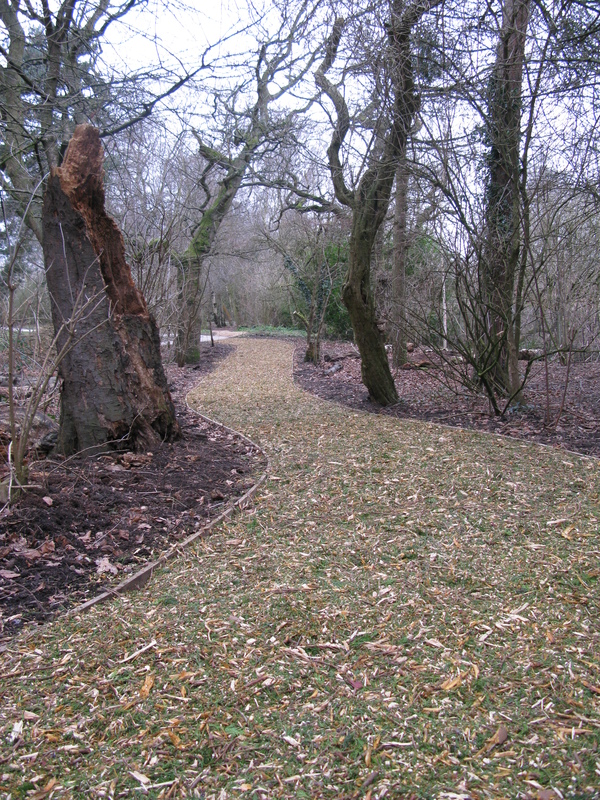 The Kings Heath Park team have been working on two paths at the bottom of the old bowling green. Last week they completed them. The paths are edged with wooden planks.The base of the paths is soil and bark chippings well stomped down by the public over the years. Onto this base, between the planks, truck loads of tree clippings have been poured. As you approach the path you become aware of a fragrant mixture of pine leaves, shredded bark and resin. As we walk – sometimes, if no-one is about, Isis and I dance – among these wonderful smells, a soft springiness beneath our feet, it feels like a sensual heaven. I often grab handfuls of the stuff and breathe in the scents by the lungful. Mmmm. Perhaps I am enjoying a little of the experience Isis has with each sniff. 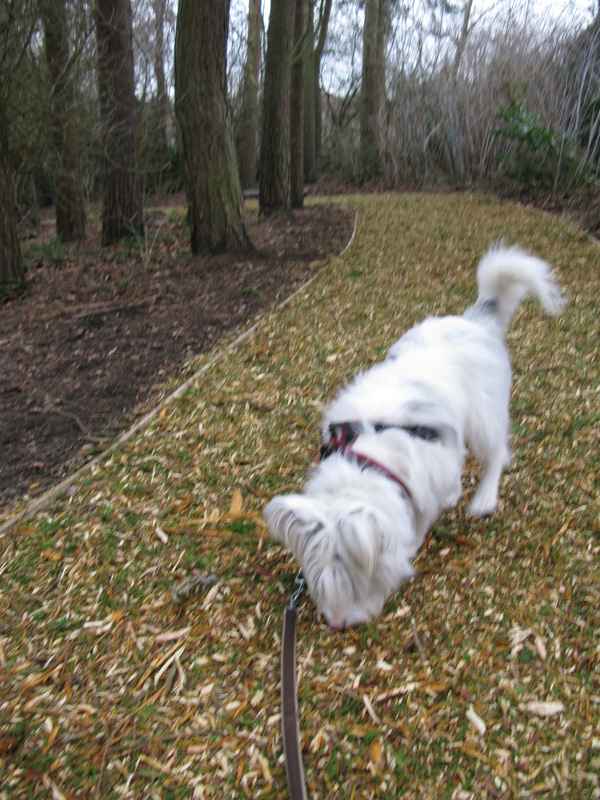 This entry was posted in walking in the park and tagged deaf/blind dog walks, Kings Heath Park. Bookmark the permalink. It is. We are very lucky in Birmingham. There are parks in every area.